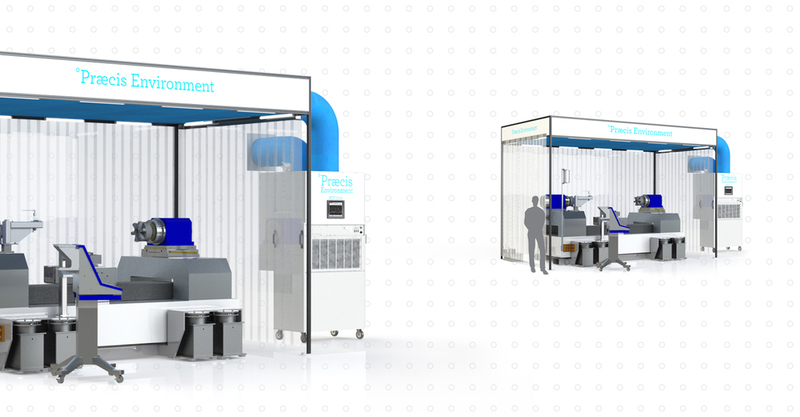 Præcis is a worldwide supplier of ultra precision air temperature control systems and environments for use with metrology, optics, diamond turning machines and other temperature sensitive operations. Air temperature control to 0.01 p-v (± 0.005) °C. We scale our systems to your needs. start here if you need to control more variables than air temperature. 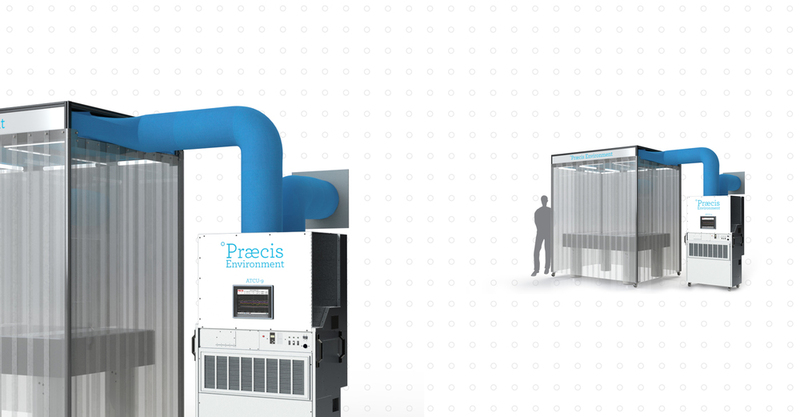 The Praecis Environment rooms control climatic conditions including temperature, humidity, pressure, and cleanliness. Air temperature to ±0.005 °C. ISO cleanroom standard 14644-1, Class 10. Praecis delivers complete turnkey systems. Our systems do not require user interaction and will operate indefinitely without adjustment. If there is a significant change in the operating conditions or ambient variables, Praecis can monitor and adjust the system control software from our headquarters. Praecis provides system engineering from concept to certification. We begin each project with a needs assessment and preliminary design. Using state-of-the-art components, we build systems that are flexible, innovative, and consummate for the application. start here if you need air temperature control and already have an enclosure. The core of the Praecis Environment system is the Praecis Air Temperature Control Unit (ATCU). The Praecis ATCU maintains air temperature stability up to ± 0.005 °C at the Critical Point over a range of ambient conditions. Praecis can supply any level of engineering services, accommodating user-supplied enclosures as well as Praecis custom enclosures. 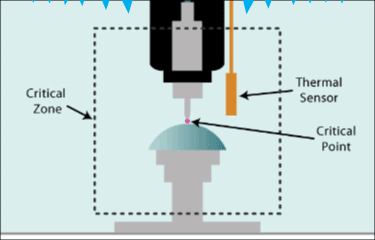 Præcis uses a laminar-flow air shower to hold the temperature at the Critical Point. Success Stories: Who is using Praecis Environment systems? Some of our clients: 3M, Aerotech, Ametek, Chinese Academy of Sciences, Coherent, Johnson and Johnson, Konica Minolta, India Space Agency, NASA, nanoPrecision Products, NiPro, OPCO Laboratory, Physik Instrumente, Precision Optechs, Precitech, Penn State, Shanghai Institute of Optics and Fine Mechanics, TNO.